In fact, Italian ice cream is a much better alternative to both American ice cream and custard; and our sorbetti is even healthier than frozen yogurt. The standard industry requires premium ice cream to contain at least 16 percent fat and custard to contain at least 10 percent fat. Because our recipes call for no cream, our milk-based gelati contain 2-6 percent fat and our water-based sorbetti are fat-free, making il Dolce Gelato products more wholesome and nutritious. 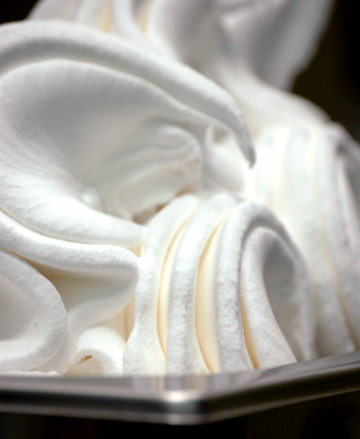 On average, a piccolo* of our gelato is 125 calories, while a piccolo of our sorbetto is under 70 calories.